My first class my freshman year at Wheaton College was “Introduction to Philosophy” with Stuart Hackett. I didn’t know what to make of this strange fellow. He had a sort of disjointed manner and always burst into class carrying his briefcase, out of which he extracted his lecture notes, and his green plastic glass with an STP sticker on the side containing his water, to which he frequently recurred as he lectured. He told us that he disdained neckties but wore them for the sake of his wife; but as a sort of gesture of defiance he wore the most outrageous and outlandish ties you can imagine, some of them homemade affairs from his daughter Becky. One of them that stuck in my memory had a row of dangling fluff balls at the bottom. When he spoke, his Germanic sentences were so long and prolix, punctuated by throat-clearing and snorts on his part, with one subordinate clause and qualifying expression piled upon another, that by the time he reached the end of his sentence, I didn’t know what he had just said. At first I thought that he was just showing off, but I soon came to realize that this was just his natural way of talking. He frequently rephrased students’ innocent questions into long, rambling queries, terminated by, “Is that what you meant to say?” At which point the intimidated student would reply, “Uh, yeah!” or “I guess so” in order to save face. I must confess that this habit rather deterred the asking of questions on my part. The day he really won me over was the day when Jack Wyrtzen of Word of Life spoke in the morning chapel. Speaking on Paul’s address on Mars’ Hill in Athens, Wyrtzen said that the philosophers whom Paul encountered there called him a “babbler” (literally, a seed-picker), and that, Wyrtzen declared, is what philosophers really are! This diatribe was especially awkward as it fell on the morning of the respected annual Wheaton College Philosophy Conference. Our class followed chapel, and so we all eagerly awaited Dr. Hackett’s reaction to Jack Wyrtzen’s chapel message. Sure enough, when he came into the room, he greeted us all with a loud, “How are all of you seed-pickers today?” After the laughter subsided, Dr. Hackett grew serious and said, “Here’s all I’ve got to say: when I’m responsible for the salvation of as many souls as Jack Wyrtzen is, then I’ll criticize!” Then he went right into his lecture. My respect for this gracious Christian man soared. I never dreamt that someday Stu and I would become colleagues. But years later, Stu left Wheaton to join Norman Geisler at Trinity Evangelical Divinity School in the Philosophy Department. When Norm left Trinity for Dallas Seminary, I was contacted in Germany, where I was finishing my doctoral work in theology, to fill his position. In January of 1980 I joined my former professor as his colleague in our two-man department at Trinity. Stu was a great departmental chairman. Since he hated administration and meetings, we never had any departmental meetings but would just chat briefly on the phone to discharge our business. Jan and I grew to be good friends with Stu and Joan during those years. Stu even entertained our two year old daughter Charity while our son John was being born. Quite a baby-sitter! In 1986 Jan and I went through the painful process with Stu and Joan of having our department abolished and losing our positions at Trinity. Going through that awful time together welded us couples together, and we came to find in Stu and Joan a source of great encouragement and strength. The way in which Stu, a senior professor at the height of his career, was treated was especially shameful. He was shunted off to Trinity College, a low level and long neglected institution across the street to finish out his career. Stu and Joan actually had the harder lot because they had to remain and bear the ignominy of having been discarded by the seminary. Jan and I were catapulted out of the evangelical pond to Belgium and to a ministry I could only have dreamed of. Stuart Hackett the philosopher had a profound impact upon my life and thinking. 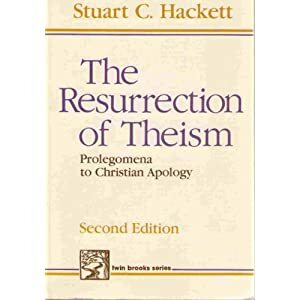 Just prior to graduating from Wheaton in 1971 I came across a copy of his out-of-print book The Resurrection of Theism: Prolegomena to Christian Apology (1957) on a clearance table at the college bookstore. I had heard of this book, though I had no understanding of its contents or even its enigmatic title, so I bought a copy. That following fall, I opened the book and was stunned by what I read. In college my theology professors had taught us that there are no good arguments for God’s existence. At that time at Wheaton all we had by way of an apologetic was purely negative: a Francis Schaefferian demonstration that if theism is not true, then human life is absurd and culture goes down the drain. To my astonishment, here was Dr. Hackett rigorously defending traditional arguments for the existence of God and responding to every conceivable objection that might be brought against them. At the center of his case stood the much despised temporal version of the cosmological argument aimed at demonstrating the existence of a First Cause of the origin of the universe. Ever since I was a boy, I had felt keenly the craziness of an infinite past but assumed on the basis of what my professors said that my intuitions were just wrong. Now Hackett was defending philosophically what I had sensed intuitively. I had to find out if he was right. That boo k prompted me to go into philosophy. Reading Frederick Copleston’s A History of Philosophy in preparation for the advanced Graduate Record Exam in philosophy, I discovered that Hackett’s version of the cosmological argument had a long and fascinating intersectarian history. I determined that if I could ever go on to do doctoral work in philosophy, I would write my dissertation on this argument. Eventually I came to do so under the direction of John Hick at the University of Birmingham. Because of its prominence in mediaeval Islamic theology, I styled the argument the kalam cosmological argument. Hackett was the philosopher responsible for resurrecting the kalam cosmological argument. There was simply nothing else like The Resurrection of Theism in the late 1950s. What other Christian writer at that time was interacting, not only with the great classics of Western thought, but also with contemporary studies like Quine’s “Two Dogmas of Empiricism”? I have said before and say again that had The Resurrection of Theism been published by Cornell University Press instead of buried at Moody Press, the contemporary renaissance of Christian philosophy would have begun ten years earlier than it did. 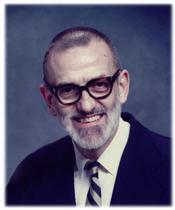 Hackett’s first book was followed by a sequel The Reconstruction of the Christian Revelation Claim: A Philosophical and Critical Apologetic (1984) and then late in life, through the efforts of his former students, particularly Phil Hillmer, who had Dr. Hackett’s hand-written manuscript typed, his The Rediscovery of the Highest Good: A Philosophical and Critical Ethic (2009). These books compose a trilogy which Dr. Hackett projected in his first book and which is now in print in its entirety with Wipf & Stock. In addition to these Dr. Hackett published a small book with University of Wisconsin press entitled Oriental Philosophy: A Westerner’s Guide to Eastern Thought (1979), a unique book which, I must say, has served me very well in speaking on university campuses in India and China. Stu Hackett touched very many lives through his work and example. God used him to transform mine.